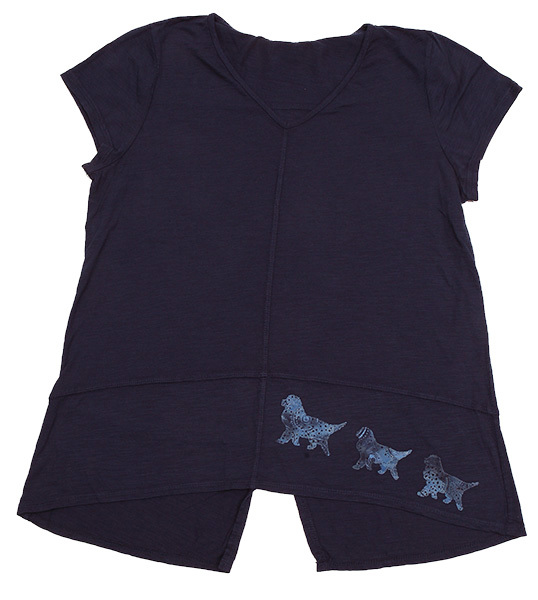 This stylish top is embellished with three Classic Black Paw Studio Newfs in Batik of graduated size on the lower left hemline. A subtle way to celebrate your love of Newfoundlands! Lightweight 100% cotton.